Rejuvapen™ is a small micro-needle device that creates invisible micro perforations into the epidermis, which activates cell regeneration to diminish wrinkles, scars, pore size, stretch marks, and more. Rejuvapen™ is one of the newest technologies that treat a variety of skin concerns by activating the skin’s natural healing process. 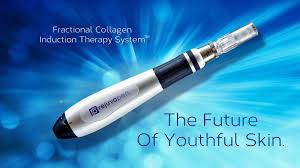 Rejuvapen™ can be combined with other topical treatments to achieve the best anti-aging results. A popular combination is with TruPRP which adds PRP (or stem cells) to the procedure. This is a Rumer Cosmetic Surgery exclusive called the OMG Facial™. Rejuvapen™ utilizes nine micro-needles to create micro perforations which stimulate the skin’s natural healing process. As a result, more collagen and elastin is being reproduced. Rejuvapen™ does not require at-home recovery time. Most patient report as having a mild sunburn. This effect diminishes within 24 hours.